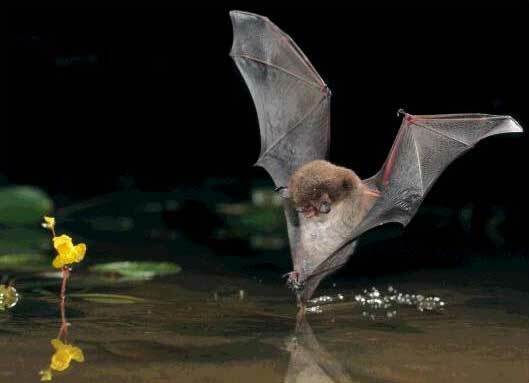 The commonest British bats, weighing around 5 grams (less than a £1 coin).They generally emerge from their roost around 20 minutes after sunset and fly 2-10m above ground level searching for their insect prey. Pipistrelle’s feed on a wide range of small flies as well as aquatic midges and mosquitoes. 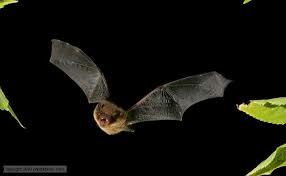 A single pipistrelle can eat 3,000 insects in just one night. Roosts are in tree holes, crevices and the bat boxes we have along the riverside path. They echo-locate around 45 kHz. 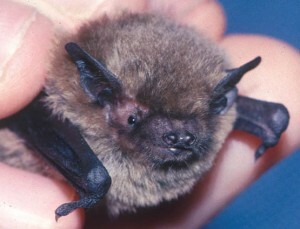 They were only a recognised as a separate species from the common pipistrelle’s in the 1990’s. They echo-locate at a higher frequency than common pipistrelle’s hence their “soprano” name 55 kHz and are often referred to as 55 Pip. They like wetland habitats Sopranos are often found near water. This is a medium size bat. It has a steady flight often within a few cm’s of the water and is reminiscent of a hovercraft. They feed on midges, cadisflies and mayflies sometimes directly from the water surface. They are notoriously difficult to separate from others bats of the Myotis group as they all use similar calls. The noctule bat is one of the largest British species and is usually the first bat to appear in the evening, sometimes even before sunset. 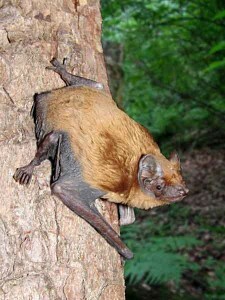 This bat has long narrow wings and flies in a straight line, very high and fast well above tree top level with repeated steep dives to catch insects. It’s our biggest bat, but it’s still smaller than the palm of your hand. 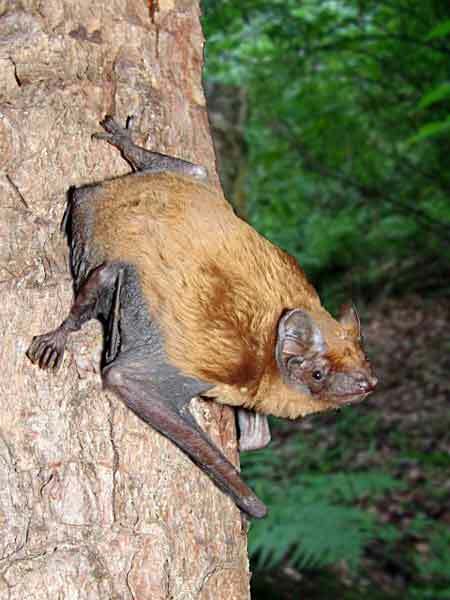 Noctules are very easily identified by using a bat detector sound as their pulses are slower and they use a much lower frequency. So four species was a good total so early in the season. I was particularly interested to hear the soprano Pips as we could never find them in the 1990s when they were first rediscovered so perhaps they have moved into the area.